And Greece is still in it! The Group Stage was completed yesterday and many experts (especially the odds makers) were proven wrong in their expectations for limited goals. Do I need to remind you how often the option for less than 2.5 goals was a favorite? After 136 goals in a total of 48 matches I must say I am very impressed! With a 2.8 goals average it was practically impossible to feel bored! I am sure most of you have already read this is a new record for the current format of the World Cup. According to FIFA.com the 2014 Group Stage had +6 goals than 2002 (Japan/Korea). Spain, Italy, England, and Portugal left the competition early proving for one more time that teamwork and determination are more important than super stars. Personally, I expected better things from Côte d’Ivoire and Russia as well. Many great players play in these six teams but they run into opponents that were more determined to make their journey to Brazil last longer. The 3-0 defeat from Colombia (and our overall performance) was very disappointing but Greece proved again they have the guts to succeed when everything is against them. I pointed out after their opening match this was not the team I knew. Things did not look good against Japan either. I am now convinced the red card at Katsouranis (38’) was the shock our players needed. Their performance for the rest of that match made all Greeks proud. We did not win but we gave a hell of a fight! The last match against Côte d’Ivoire was very similar to the last one in the Group Stage of Euro 2012 against Russia. 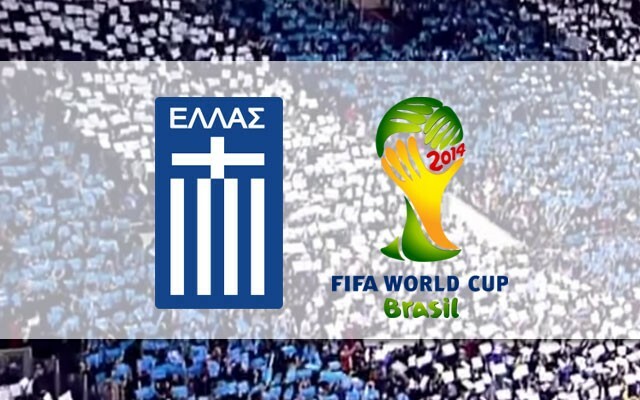 Greece had one point (again) and they needed only one result; the win. Were we lucky to get that penalty kick at 93’? Yes and no. Do you really believe we did not deserve to win? We had the same attempts on goal with Côte d’Ivoire (13) but we also had 3 attempts stopped by the bar. Any other result than the win would be unfair. In our last match we finally had a great performance after a very long time.The difference of this team with the one many remember from 2004 is that they can be extremely dangerous in offense as well. This is exactly what Mr. Santos offered in his years at the bench. In 2004 we concentrated on defense looking for one goal to claim the win. In 2014 Greece is still reliable in defense but they are capable of scoring more than once against ANY team in a good day. Year 2014 has been very poor for our forwards and many experts insist we have no chance. I must warn you. Now that we made it to the Round of 16, our players got rid of their stress. They have nothing to prove or lose from now on. They will just enjoy this ride and, mark my words; they will NOT return home that easily. Mr. Santos faced too many unexpected problems in the last two matches. He was forced to make two substitutions in the first half. He also had to change his plans because of the red card at Katsouranis. If Greece made it this far against all odds, why on earth should we give up now?